The new Ryerson Students’ Union (RSU) executive is turning what used to be the Used Book Room into a student Wellness Centre. According to RSU president Obaid Ullah, the renovation will cost the RSU $40,000 but will come at no additional cost to students. The RSU will be covering the cost using money that would have previously been allocated to run the Used Book Room. The renovation was planned to be completed for the beginning of the fall semester in September. Effective a notice to the membership on June 28, the RSU’s Used Book Room services were set to be moved online in order to make room for this initiative. The union cited “accessibility, space and financial sustainability” as the contributing factors to moving the service to the web. During last year’s RSU election, each executive member of Impact —Ullah’s slate that swept the voting for executive positions—included an increase to the RSU’s efforts to improve mental health and wellbeing on campus as integral to their plan for the year. Mental health services and counselling have been a big topic of conversation over the past two years at Ryerson, as wait times for the university’s counselling centre have skyrocketed. Last year, The Eyeopener reported that wait times for the Centre for Student Development & Counselling can stretch up to three months based on a triage assessment. Despite the call for increased support for mental health services being a staple of their campaign plans, the Impact slate decided not to hire a full-time staff member for RyeACCESS this summer, a decision that Ullah said was due to lack of demand for the resources. Programs like RyeACCESS’ Green Minds were unable to run this year due to the staffing changes. In future years, he said, the Wellness Centre would remain open and staffed during the summer months. Lavinia Tea—a fourth-year creative industries student who spoke with The Eyeopener last year about her trouble waiting for counselling—is optimistic about this new initiative. “There isn’t really a good centralized way on campus to know about all the events that are going on and something like that could really be a step in addressing that,” Tea said. But she also stressed the need for action. In addition to being a place for individual students to seek out support for mental health and well- ness, the space will also be “a place of spiritual health and a place for different faith groups to be united,” Ullah told the RSU board of directors in June. 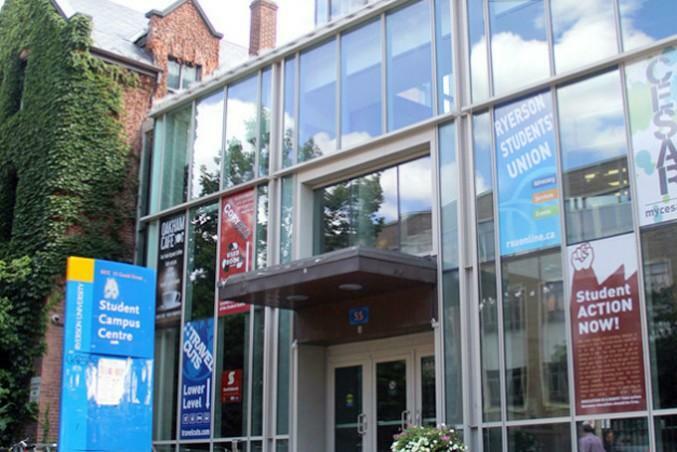 Limited multi-faith space has been a criticism of the student space on Ryerson’s campus as recently as last year. “I see spiritual health as coming as a package with mental health and general well-being,” Ullah said. Currently the space is not set to employ an actual mental health counsellor, only a coordinator. Ullah says the purpose of the centre is to welcome students who seek positive support and be quickly redirected to any specific help they may need. The RSU is in the process of hiring a coordinator for the centre, but does not expect to reach their original goal of having it ready for September. Ullah hopes for the centre to be open as soon as possible.